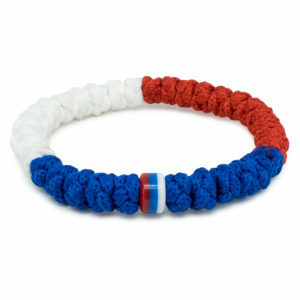 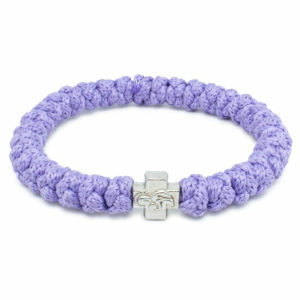 This bracelet is part of our Pastel Collection! 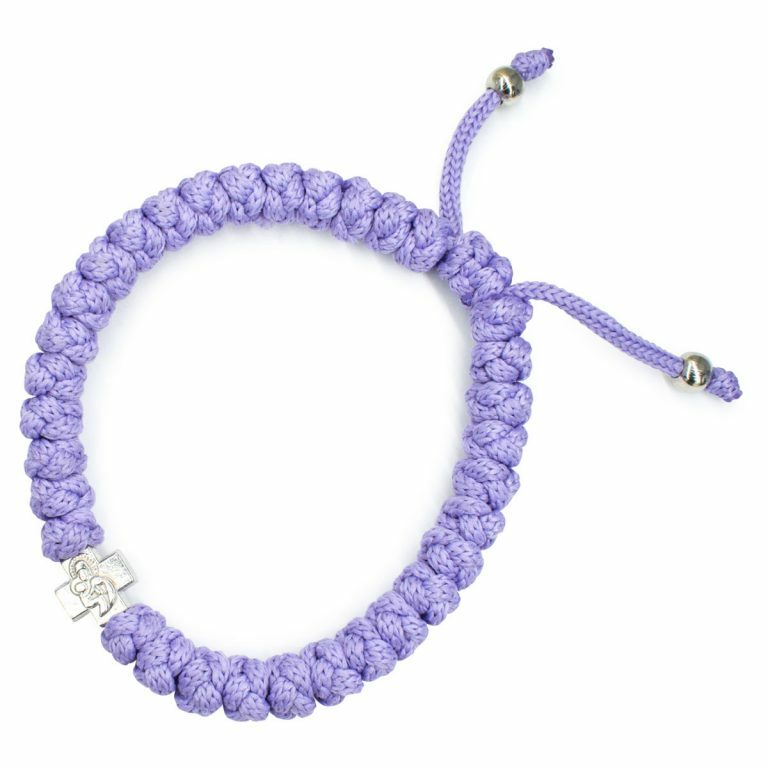 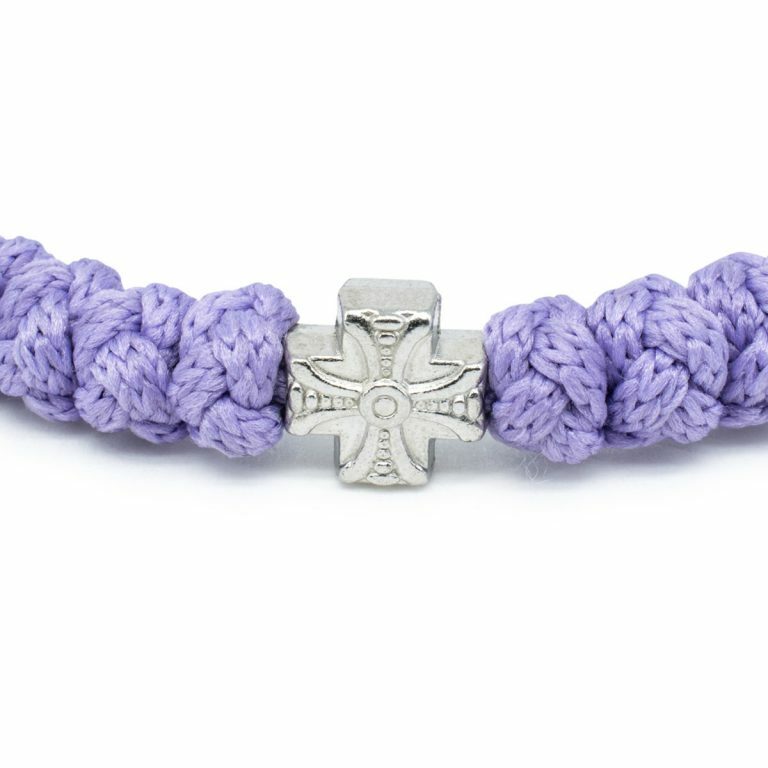 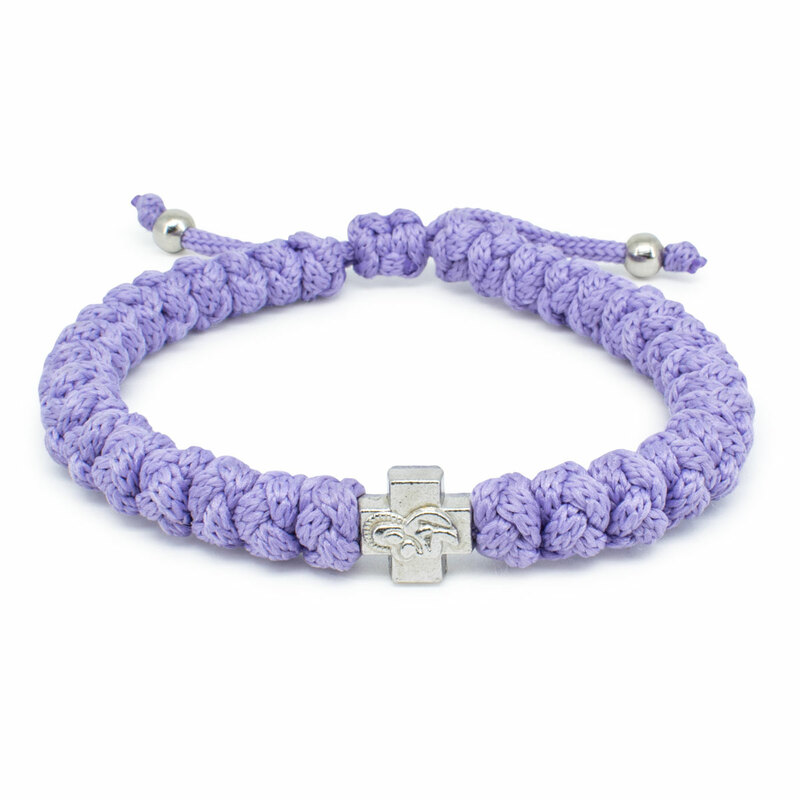 The adjustable lila prayer bracelet is handmade and authentic. 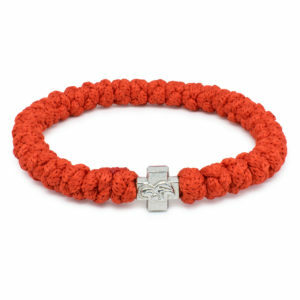 Blessed by the Church and meticulously handmade, having the traditional 33 knots and a double sided cross bead. 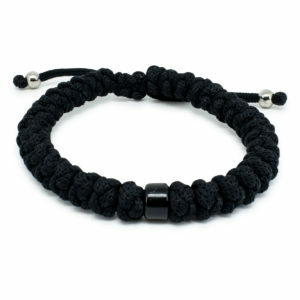 Size: Fits all sizes, due to a sliding knot.